A beautiful, lush green campus spread in 21.6 acres of land,The college has 3 prominent buildings. The First year block is exclusively dedicated to the first year students. This is to facilitate them with proper attention, prevent unwanted situations like introduction, ragging and also to monitor their development for further classes in their respective branches. The college also has 3 conference rooms with Full audio-video facilities. 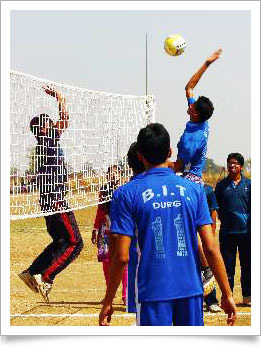 The college provides ample opportunity to its students to display their sports acumen. The sports complex of the college is one of the biggest grounds provided by any institution that can hold on to 4 outdoor sports events simultaneously. It has a cricket pitch, an international standard volleyball court, a football court, a kabbadi and a badminton court. Information is a vital resource and is an essential input for enhanced productivity for any developmental work. Over the years there has been an exponential growth in information, besides which the development in the field of Information technology has resulted in the introduction of information services based on computers. A good & well-equipped Library & Information center is an essential entity of any organization. In this regard a Library & Information center will be established to serve its users with a motto of "Right kind of information to right kind of person at a right time". The mission of BITR LIBRARY will be to serve the knowledge seekers through effective knowledge management, including consultation and collaboration on instruction and collections. The library will be established with a floor area of 409 Sqm. With good natural lighting & ventilation. It will consist of the stack section and reference area for a capacity of about 150 students. The librarian's chamber, Circulation counter will also be located here. Reference Service: Library will have a rich collection of books in reference section for its users. Previous year question papers, GRE, GATE & TOEFL Books, and Dictionaries & Handbooks will also be available. Book Recommendation: Students & Staff may recommend any subject books that are useful for their academics. 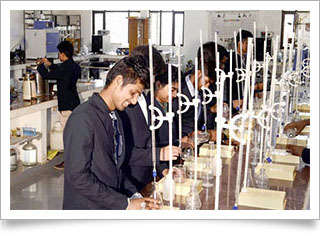 For the outstation students the college provides well furnished hostels. The hostel for Girls is located at Devpuri & New Raipur. It is well protected and has a fulltime warden with full safety and security of the hostel girls. It is closer to the Raipur city, from here, bus stand, a super specialty hospital, and railway station are easily accessible. The boys' hostel is at the college premises. The hostel has a full time Hostel in charge, counselor and is attached with the college mess. The hostel students are provided with breakfast, lunch, evening tea, snacks and dinner. Utter care is taken for hygiene and pure veg food is served to the students.Both the hostels have newspaper and internet facility available for the students. The college has a mess that caters to the need of the students who are away from the home. It provides them breakfast, lunch, evening tea, snacks and dinner. The college dining hall can accommodate over 100 students at time. Apart from the college canteen, we also have a Coffee shop for the students where the students can enjoy various delicacies in the breaks along with tea,coffee and juice. Our each and every member (student and staff) has Life Insurance Policy by the institute. 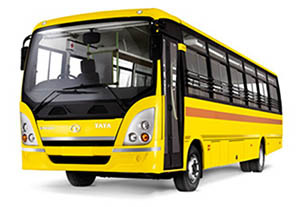 Institute has bus facility too with 25 buses for various cities. Institute appointed a lady MBBS Doctor for BIT members. They need not to go outside for health issues. We have a branch of Bank of Maharashtra near the college. So the students need not to go far from the college for banking transactions.